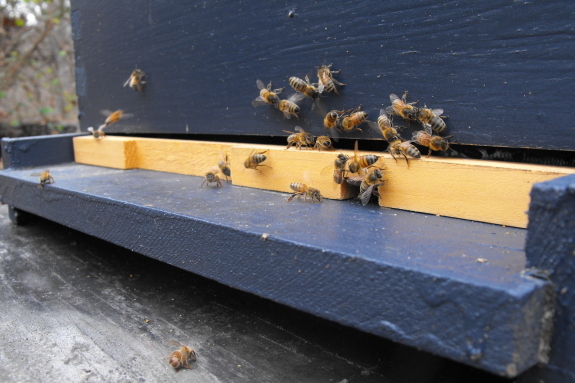 Anna installed these entrance reducers in all three hives today. Without this you run the risk of a mouse making its way into your hive and making a sweet feast of all that delicious honey. You're probably right that mice could get in --- various spots on the internet say that entrance reducers aren't 100% effective. We'll just hope the mice think it's too scary in there.